This is a story about the great god Indra, who was the undisputed king of the three worlds. However absolute power has its perils, the most dangerous of which is pride which consumes even gods. The scriptures say: ‘The one who feels happy on obtaining objects of material enjoyment becomes afflicted with pride. When he becomes prideful, he starts violating Dharma’ (Apastamba Dharma Sutra 1.13.4). This is what happened with Indra too. 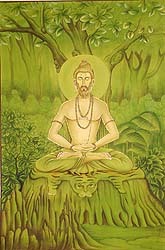 Once when he was sitting on his throne with his wife Indrani, his guru the venerable Brihaspati entered the court. Even though Indra saw his guru he turned away his gaze as if he had missed seeing him. He did not even get up from his throne. Brihaspati realized that his disciple had become afflicted with pride which is never good and must be broken. Hence Brihaspati vanished from Indra’s court. When the asuras (demons), the traditional enemies of the gods, heard that the great sage Brihaspati had left Indra’s court they thought of taking advantage of the situation and went to their own guru Shukracharya seeking help. Actually Brihaspati - the guru of the gods - has wisdom and prudence, while Shukracharya - the guru of the demons - has power and cunning. One meaning of the word ‘Shukra' in Sanskrit is virility. 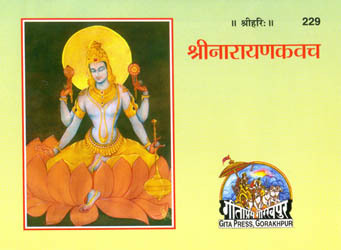 The gods have strength in the form of Brihaspati and the demons in the form of Shukracharya. When Shukracharya heard of the situation he advised them to attack the gods immediately. The latter then searched in vain for their guru to provide guidance in the impending battle. However he could not be found. The demons then easily defeated them because with their guru the gods had also lost their strength. Ultimately they were forced to flee from their palatial comforts and take refuge in the forests. The exasperated gods then went to Brahma Ji who is the great-grandfather of both the gods and the demons. He has equal goodwill for both. Despite this, he gives the best guidance to whoever seeks his help and advice. Brahma Ji said to the assembled gods: "What a pity it is that out of arrogance you have committed an inauspicious deed by disrespecting a Brahmin who is not only a knower of the Vedas but also has control over his senses and is established in the Supreme Soul (Brahman)." "The job of priesthood inevitably leads to a loss of spiritual power and hence has been condemned by great people of yore. However how can a mere person like myself who deserves to be commanded by you refuse your request? People like us require nothing. We go the markets after the grain shops have closed and then collect the grains that are fallen there to fulfill our needs. When my life is running fine in this manner, why should I accept the condemned job of a professional priest which makes happy only those who have a low mind? However since you are my elders, I will accomplish whatever insignificant is required by you, at the cost of all my means and even my life." With this promise Vishwarupa began to earnestly carry out his duties as the priest of the gods. He snatched away the fortune of the demons by giving Indra the ‘Narayana Kavach’, the ultimate shield of mantras for protection and victory over obstacles. The eighth chapter of the sixth canto of the Shrimad Bhagavata Purana describes this prayer. When Indra acquired the Narayana Kavacha from Vishwarupa and learned its proper usage, he attacked the demons, defeated them and regained his position as the king of heavens. We already know that Vishwarupa’s ancestry was composed of both gods and demons. So, during the performance of sacrifices, he would pour offerings not only on behalf of the gods, but also secretly give offerings on behalf of the demons. Actually his mother belonged to the clan of demons and he did this out of affection for her. 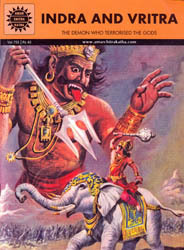 Indra, the highly intelligent king of gods, caught him red handed and killed him. Now Indra was faced with the specter of Brahma-Hatya, the crime of having killed a Brahmin, one of the most serious crimes according to our scriptures. Indra, even though he was extremely powerful, did not try to brazen it out. Instead he folded his hands and accepted his guilt. He did not try to make any excuses saying he had killed Vishwarupa unknowingly. It was Indra’s nobility which made him accept his guilt without any hesitation or fear. Consequently, the entire world was filled with a feeling of forgiveness towards him. People always have sympathy for those who have the modesty and humility to admit their mistakes. However when someone raises his head with pride declaring he has done no wrong, his arrogance causes him to lose the sympathy of all. 1). One portion he gave to the earth. This manifests itself as barren deserts on the earth. As a blessing in return, Indra decreed that any holes or pits on the earth would automatically fill up. 2). One portion of Brahma-Hatya was given to the trees, manifesting itself in the form of gum. They received the boon that their branches and twigs would grow back when chopped or trimmed. 3). One part was given to women, in whom it manifests itself as menstruation. They received the boon that they could ever have physical relations (even during pregnancy). 4). The fourth was apportioned to water. It appears as foams and bubbles (this is why water for puja should be devoid of these). Water received the boon that it would increase the quantity of the substance with which it is mixed (e.g. milk). "Dear God, we are but your servants. We do all our karma only to worship you. A person who takes refuge with anybody else other than you is like one trying to cross over an ocean holding a dog’s tail. It is you who take numerous avatars to protect the world. Therefore please protect us also." Bhagavan Narayana satisfied with their prayer (stuti) appeared before them and answered: "I am happy with your prayers. O Indra! You should go to the venerable sage Dadheechi and ask for his bones. He is the one who first gave the Narayan Kavach to Tvashta who then passed it on to Vishwarupa from whom it was passed on to you. He is a selfless sage established in the Supreme Soul. He will fulfil your request. You should then carve a thunderbolt out of his bones which will kill Vritra." Thus instructing the gods Lord Narayana vanished from their midst. The gods then approached sage Dadheechi with their request. The sage laughed out and said "Dear gods! Don’t you know how dearly everyone loves their own body? Don’t you know of the excruciating pain that beings experience at the time of their death? For those who want to live in this world, even if Lord Vishnu were to himself come and beg for their lives, they would not do so." The gods replied: "Exalted persons like yourself who are equally compassionate to all have no difficulty in parting with even their most precious objects. There is no doubt that people in this world are so blinded by selfishness that they do not understand other people’s difficulties. They would not ask for help if they understood the other person’s difficulties. The one who asks for help should understand the situation of the person he appeals to. By the same token, the person asked will always extend all possible help if he understands the difficulty of the person seeking help. The fact is that everyone in this world is engrossed in his selfish interests." The sage answered: "It was only to hear the voice of Dharma did I prompt you thus. My body is going to leave me in any case one day. Hence I will cast off my beloved body for you. This body is impermanent. A person should utilize it to serve eternal Dharma, which is made up of only one thing - a person should feel happy at the happiness of others and sorrow at the sorrow of others. The objects of this world like wealth, relatives and even one’s own body are but transient. They are of no use to ourselves but only for the benefit of others. Pity that the impermanent man does not utilize whatever he has in the service of others in order to serve the permanent Dharma." Dadheechi was a great devotee of Lord Shiva. His greatness is described repeatedly in the Shiva Purana. He was skilled in the science of Brahmavidya. Birth and death held no meaning for him. Indra’s personality was radiant when he went into the battlefield with the vajra made from Dadheechi’s bones in his hand. The weapon was filled with the spiritual power of the sage’s tapasya. Secondly it had the sanction of Lord Vishnu. These two factors gave fresh impetus to the gods and they attacked the demons with renewed vigor. The latter began to scatter and flee until Vritra addressed them: "Please hear me, do not run. All beings who have taken birth must die. Even the creator has not told of any means for escaping death. Under the circumstances, death being inevitable, if one can gain not only ascendancy to other worlds (heavens etc) but also virtue and fame in this very world then which intelligent man would not embrace such a death? There are only two glorious ways of dying. One of the yogi who controls his Prana and gives up his body while focusing on the Supreme Soul and the other of the warrior fighting in the forefront of battle giving up his life heroically." However, facing inevitable defeat, the demons did not pay heed to Vritra’s words even though they were loaded with the essence of Dharma. The gods meanwhile continued to attack the fleeing demons. Vritra then stood before Indra and directly challenged him: "What kind of Dharma is this that you attack from behind those who flee the battlefield? You claim to be a great god but kill those in retreat? Come! I stand before you. Attack me." "The thunderbolt that you carry has been sharpened by the power of Lord Vishnu and the austerities of sage Dadheechi. Since you have come here in accordance with Lord Vishnu’s will, there is no doubt that I shall be killed. O Indra! Your thunderbolt will cut not me but my attachment to sensual pleasures. Concentrating my mind on the lotus feet of the Lord Vishnu I will ascend to the higher worlds inhabited by great saints. Indeed I know the nature of our dear Lord Vishnu. Whenever people like us make an effort for achieving material objects like power and money He renders these efforts fruitless. We should understand that it is God’s grace that makes a person suffer loss in his enterprises. This grace is exclusively reserved for His true bhaktas. Like a child who does not drink at his mother’s breast but plays with toys forces her to take away the toy and instead thrust her nourishing breast in his mouth does not represent injustice but only the mother’s extreme affection so does our beloved God, when we start playing and obsessing with wealth, snatches away our riches and instead gives us the supreme gift of Himself." "O lotus-eyed Lord, as baby birds who have not yet grown wings look out for their mother, as hungry little calves tied to a post anxiously wait for their mother to feed them, like a wife whose husband is away from home is tormented by intense longing for her spouse, so does my heart yearn to see you!" Thus saying Vritra, longing for the highest death available to a living being, plunged himself towards Indra who cut off his arms. But when the king of gods lifted his thunderbolt, Vritra opened his mouth and swallowed up Indra along with the elephant he rode. Indra soon opened his stomach from inside and came out. Then he rushed and killed Vritra by cutting off his head with a mighty swoop. A light emerged from the demon’s fallen body and merged into the Supreme Soul. Indra became king once more. All were happy but Indra was worried about the Brahma-Hatya he had once more incurred. His fears were justified and the Brahma-Hatya appeared before him in the form of an old woman drenched in blood with her breath smelling of fish. The terrified Indra ran but she chased him calling out: "Wait! Wait!" The witch followed him wherever he went and eventually he hid in the stem of a lotus in the Manasarovara Lake. There he remained for a thousand years until some wise Brahmins sought him out and took him back. The venerable Brahmins then made him perform the Ashwamedha Yajna, the supreme Vedic ritual which cleansed Indra of the sin of Brahma-Hatya. How could Vritra a demon meet such a glorious end? How was he able to recall the Supreme Lord in his last moments this being difficult for even the most accomplished of yogis? The answer lies in a previous life of his, where he was a great bhakta named Chitraketu who was cursed by Goddess Parvati because he had crticized Lord Shiva. In the end we realize that Vritra was blessed even more than Indra. The latter reaped only material success, while Vritra was blessed with the ultimate gift – selfless Bhakti towards Lord Narayana. The story of Indra and Vritra occurs in the Shrimad Bhagavata Purana, Canto 6, Chapters 7-17. This article by Nitin Kumar.